Being a real estate professional can sometimes be overwhelming. Joe Sellers, an associate broker at Atlanta Communities Real Estate, discovered this firsthand on one particular listing. Buyer’s agents were blowing up his phone – a good thing for business, no doubt – but it’s a repetitive, back-and-forth practice that, at times, can leave even the most dedicated real estate professional feeling a bit lost on which agent requested what time for a showing. 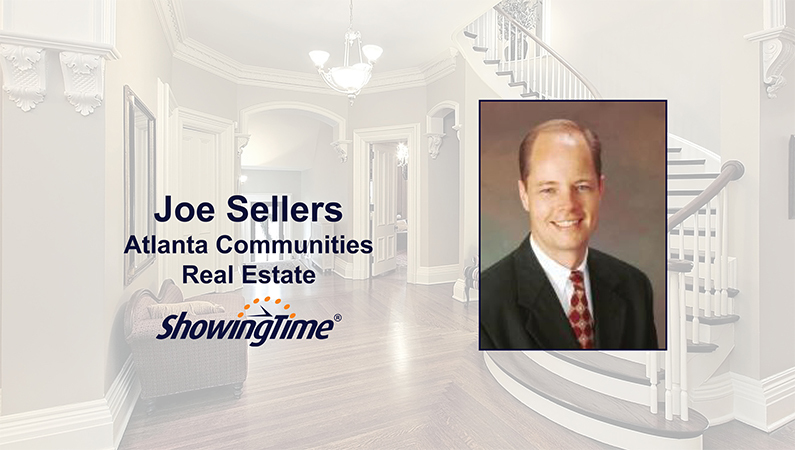 Sellers, a veteran real estate professional of more than 20 years, decided he needed help and turned to the ShowingTime Appointment Center. Many real estate agents have been in Sellers’ shoes and subscribed to the ShowingTime Appointment Center to help them schedule showings, manage their listings and get their life and business back in order. The ShowingTime Appointment Center is an upgrade to ShowingTime’s popular online scheduling service, which makes scheduling easy. Adding the Appointment Center enables agents to create customized feedback questions and equips them with more detailed listing activity reports, branded communications with an office logo and personal headshot – while providing the assistance of a personal assistant – at a fraction of the cost. Even if your MLS or association doesn’t subscribe to ShowingTime’s online scheduling, the ShowingTime Appointment Center is available for you. Not only is it perfect for large or small offices looking for a more cost-effective option than staffing the front desk, but also for agents like Sellers who simply needed help keeping track of a busy schedule. “The direct, immediate result was peace of mind and being able to handle other important real estate matters besides coordinating showings,” Sellers said of using the ShowingTime Appointment Center. ShowingTime’s professionally trained appointment specialists are available 24/7/365 (yes, even weekends and holidays) to schedule and confirm appointments — often in 15 minutes or less — as well as communicate the details to the listing agent, seller and buyer’s agent. They also make personally branded calls to and from your sellers as if they were sitting at your front desk. In addition to having your own personal assistant, so to speak, agents and sellers also have access to the ShowingTime mobile app, which allows sellers to play a bigger role in the showing scheduling process. That gave Sellers and his clients added peace of mind.